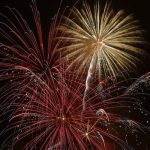 Frederick County’s Independence Day celebration is held at Sherando Park and includes a day of swimming at the outdoor pool, live music, and plenty of room to spread out your blankets to enjoy the fireworks show. July 4. 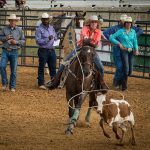 Livestock, petting zoo, pageants, demolition derby, tractor pulls, monster trucks, educational exhibits, a carnival, live music, and traditional fair food are just some of the reasons to come to the fair! Last week of July. 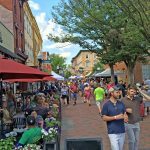 Beer festival featuring 40+ breweries, a homebrew competition, and live music in Old Town Winchester. Mid-June. 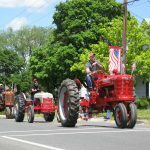 The small town of Middletown hosts this all-day event featuring a softball tournament, food and craft vendors, inflatables for the kids, a parade down Main Street, and live music in the town park before an awesome fireworks show. July 4. 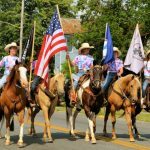 A free family festival that celebrates the town of Stephens City’s heritage and includes wagon rides, a parade, a craft show, and fireworks. May – Memorial Day Weekend. Sample an array of beers from the New and Old World. 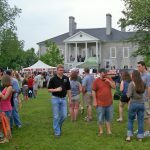 Music provided by live bands, food, and tours of the historic home, all in a scenic outdoor setting. May – Mother’s Day Weekend. 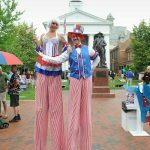 This annual All-American celebration includes live music, street performers, kids’ activities, and a spectacular fireworks show in Old Town Winchester. July 3. 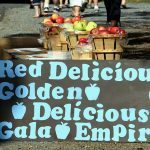 Held annually for over 40 years, this festival celebrates apples! 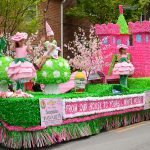 Arts and crafts show, live music, apple pie eating contest, apple butter making, bingo, inflatables, face painting, and craft beer and hard cider tastings. Third Weekend in September. 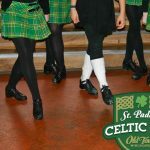 This free festival celebrates the community’s Irish and Scottish heritage with Celtic inspired music, dance, and the City of Winchester Pipes and Drums performing in Old Town businesses and along the Loudoun Street Mall. Second weekend in March.